Brain Train Age is a simple, fun and effective PC game for you to make mental exercise. Brain train age also can test your brain age. It gives you a clearly age of your brain. Brain Train Age features activities designed to help stimulate your brain, like solving a series of simple, rapid-fire math equations as fast as possible, counting interesting icons and many other easy but interesting and helpful games. Brain Train Age features multiple games to practise your brain abilities, including analytic ability, sixth sense, calculating ability, illation ability, and memory. Three levels for the player make the game suitable for everyone. No matter you are a young player, a mother or a grandfather, having two grandsons already, Brain Train Age will help you to have a sharp and agile mind. Brain Train Age TM features activities designed to help stimulate your brain, like solving a series of simple, rapid-fire math equations as fast as possible, counting interesting icons and many other easy, but interesting and helpful games, Brain Train Age is the very PC game for you to exercise your brain in a simple, efficient and fun way. Illation - Brain train age trains your illation ability. For example: you need point which the lightest according to the picture, cat is lighter than cow, snake is lighter than the cat, and which is the lightest one? Memory - Brain train age trains your memory ability. What's the color of your boss' tie? Can't remember it? Want to have a good memory? Have some training's with Brain Train Age. An Instant Remembering training may help. Analysis - Brain train age trains your analysis ability. What is the number of the giving icon? What is the number of the toy bricks? You can not do that by one plus one, it needs your analysis. Intuition - Brain train age trains your intuition ability. What is the color of the word? It is "Green" though the word is "Red". Give your brain a training by your instant and correct intuition. Count - Brain train age trains your count ability. Do not look down on 1+1=?, do many of this you will find it is not as easy as you thought. Count is an interesting thing here. Brain Train Age is the PC version of Brain Age, and it is a funny puzzle game which can determines how old your brain is. Brain train age provides memory, analysis, intuition, count and language modules for you test. 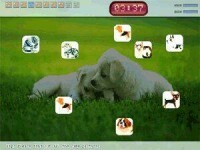 Take memory module for example, you can do counting memory, picking memory and instant memory test. get at the exercises and the lower your DS Brain Age will become. impact of performing certain reading and mathematic exercises to help stimulate the brain. loud, and more. You can also play sudoku, the number puzzle game which has become an extremely popular feature in U.S. newspapers. designed to help stimulate your brain and prevent it from going old. 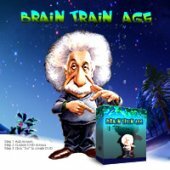 Tell someone about Brain Train Age Game! FM4r8Y Excellent web site. A lot of useful information here. I'm sending it to a few friends ans also sharing in delicious. And of course, thanks for your sweat! kEPXwN Im grateful for the article post.Really looking forward to read more. Fantastic. 9wRIUC Awesome blog.Really thank you! Awesome. 3F4qmT Great, thanks for sharing this post.Really looking forward to read more. Fantastic. XFjbej I think this is a real great blog post. Really Cool. IiyINO Thank you for your blog.Thanks Again. GYcY7B Enjoyed every bit of your article.Really thank you! Much obliged. A03TOY A round of applause for your article.Much thanks again. Fantastic. wG6QS4 Thanks so much for the blog article.Really looking forward to read more. Really Great. lnXt8G Major thanks for the post.Much thanks again. Really Great. ipJkjB Thanks so much for the blog. Awesome. EhQuN0 Muchos Gracias for your blog article.Much thanks again. Great.